Posted on September 6, 2016 at 11:45 am. 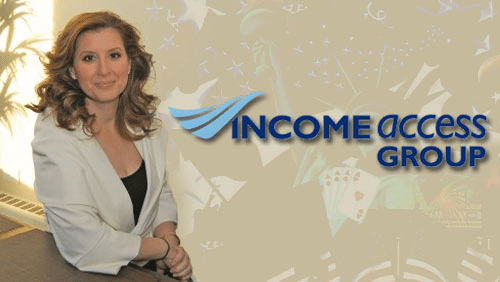 Founder and CEO of Income Access Nicky Senyard believes Income Access Group will fit in perfectly with Paysafe Group’s plans. One of the common concerns people share when betting with online casinos and sports betting operators is the need to ensure their funds are safe and secure at all times. As the online betting world has expanded, many companies have been established offering alternate payment methods, giving punters a plethora of options available at their fingertips. The Paysafe Group is one of the leading providers of payment solutions and is growing in its popularity for online bettors seeking a reliable funding facilitator. Popular methods Australians use to fund their casino accounts include Paysafe Group products Paysafecard, Skrill and Neteller. Additionally, the Paysafe Group has recently announced it is expanding its product capabilities with the purchase of the affiliate technology business Income Access Group for over AUD $40 million. Founded in 2002 and located in Montreal, Canada, the brand has employees based in Vancouver, London and Brisbane and provides innovative affiliate technology to enable businesses to manage their performance marketing programs, while more than 25,000 affiliates also use the company’s multi-channel software for their marketing campaigns. Nicky Senyard, the founder and CEO of Income Access, commented that the acquisition had major advantages for both businesses. “Our technology and global affiliate network, combined with Paysafe’s comprehensive payments offering, creates a winning combination for the benefit of our existing and new partners,” Senyard said. Paysafe President and CEO Joel Leonoff said ‘Income Access’ is the perfect asset moving forward as the brand strives to strengthen its stranglehold on being the forerunner in payment solutions. “By adding Income Access’s affiliate technology to our product suite alongside our Skrill and NETELLER brands and deepening our merchant relationships, this transaction delivers on Paysafe’s strategic objectives to provide relevant payment solutions that serve the evolving needs of our merchants,” Leonoff said. Paysafe currently processes millions of transactions worldwide and delivers a full range of payment solutions for its customers from card issuing to acquiring, from payment gateways to merchant accounts, from fraud and risk to compliance and also encompassing digital wallets and mobile through to invoicing. Divisional CEO Lorenzo Pellegrino said the acquisition of Income Access is yet another way for Paysafe to expand the services offered to its customers. Which online casino sites support Paysafecard deposits? Paysafe group brands are some of the most trusted and widely supported deposit options at online casinos around the world, and the majority of our top rated casino sites offer them. Players from United States can visit Raging Bull Casino to find secure and speedy banking methods that make funding your account and withdrawing winnings a hassle-free and secure process.